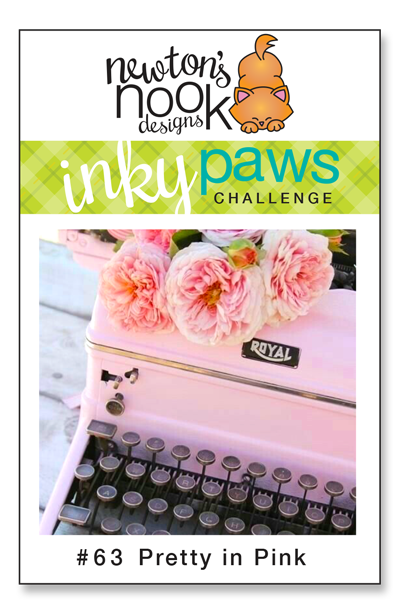 This Biweekly Challenge was THEME-Pretty in Pink! Inky Paws Challenge #63 Winner! 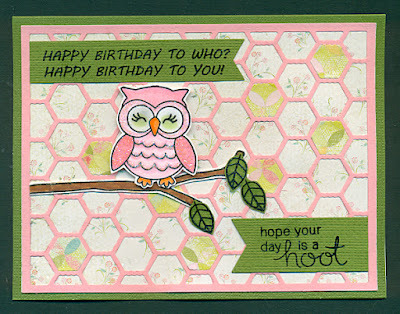 Margo creates such a cute birthday card using What a Hoot stamp set. The honeycomb background adds fun texture against her pink owl, which is just adorable! Alex brings us this cute and clever card featuring Naughty Newton stamp set. We love how Alex shredded the cloth curtains with her wonderfully colored Newton caught in the act! 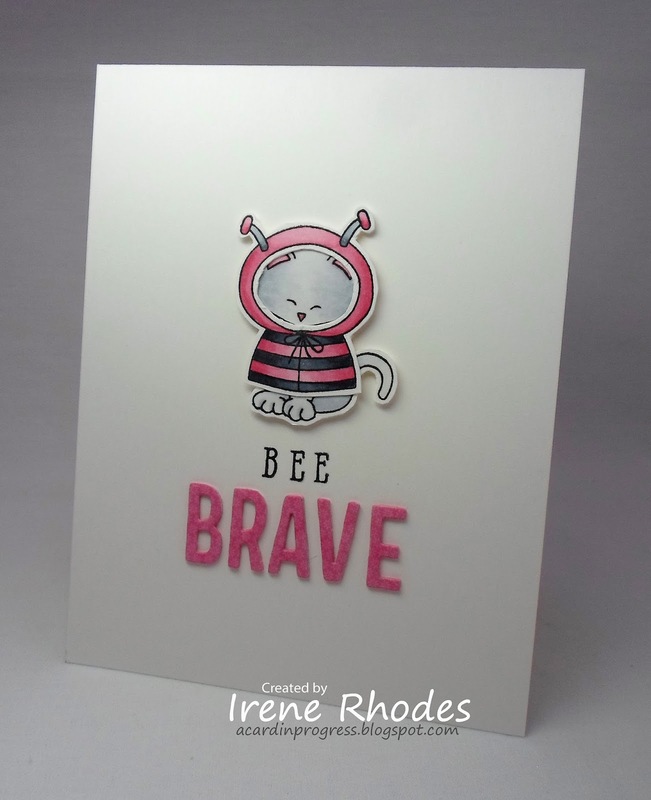 Irene creatively uses pink for Newton's bumblebee costume from Newton's Costume Party stamp set. Just love her CAS style! 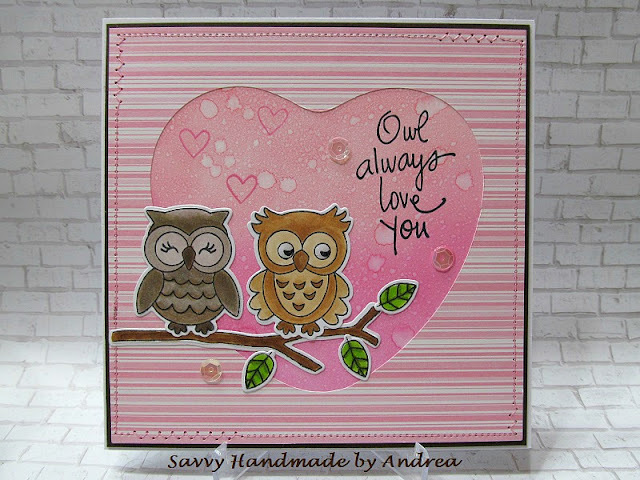 Andrea's pretty pink background with the striped paper make for a splendid setting for the love owls from What a Hoot stamp set. Tracie's fun splattered background and delightfully colored foxes from Woodland Duos stamp set just make this such a cute and wonderful card! 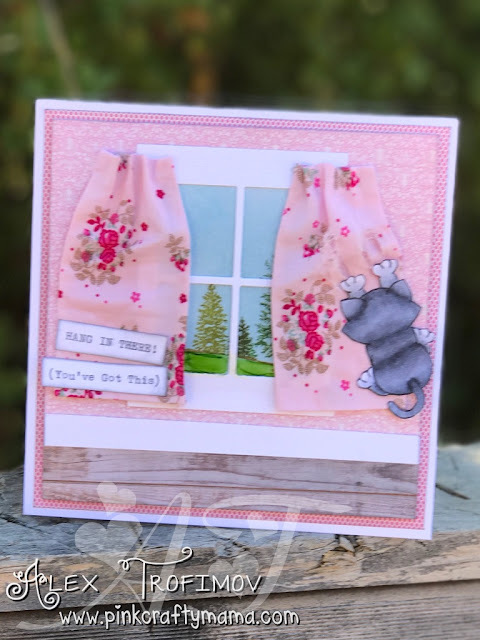 We love the textured pink background that Birte creates. The details she added makes such a delightful wintery get well card with that sweet sleepy bunny from Sweater Weather stamp set. Thank you so much for mentioning my card. It really means a lot me. Congrats to Margo! Thanks Diane for picking my card as your FAVE.